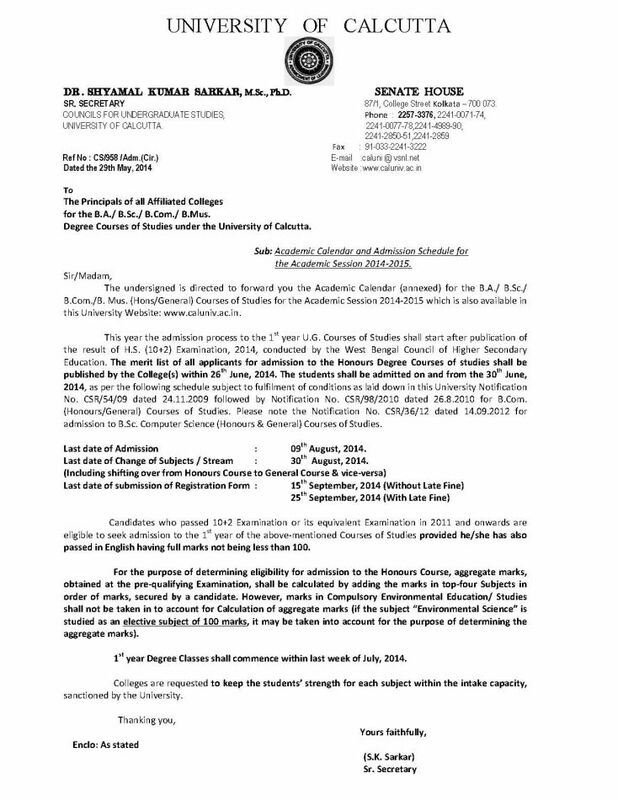 Hi I want the academic Calendar for the BA of Calcutta university so can you provide me? The Calcutta University is a public state University located in Kolkata. It was established in the year 1857 by the government of West Bengal. This university is affiliated by NAAC and UGC. The latest academic Calendar is not available on the official website of this University so for your reference Here I am providing you the process of downloading academic Calendar of last year. 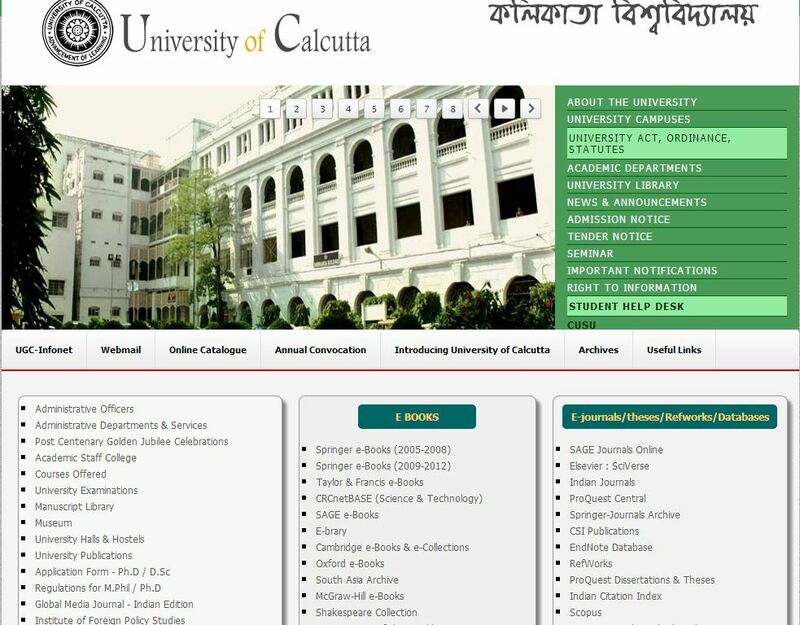 Go to the official website of Calcutta university. Then click on the tab â€œNews and Announcementâ€� in the right side of the page. Now click on the link â€œAdmission Schedule and Academic Calendar for the B.A./B.Sc./B.Com./B.Mus. (honours & General) Courses of studies for the Academic Session 2014-2015â€�. Then you will get the pdf file of Academic Calenda.